New Media Design is a multi-disciplinary design and advertising agency. Our aim is to realise an effective and creative way for our clients to communicate with their audiences. We offer a diverse portfolio of services within interactive media, technologies and cutting-edge communication strategies. We are headquartered in Østergade in the centre of Copenhagen, and we are represented in London. Our core market is Scandinavia, however we also have wide experience throughout Europe, and have carried out work that has been used globally for companies such as LEGO. Sales, NewBiz, Marketing and Project Management. Identity, Design, Layout, Usability, CopyWriting. 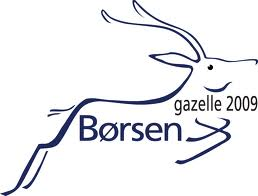 The Gazelle Prize is given to companies showing growth in the last four financial years and more than doubling the revenues or gross profits in that period. © 2013 New Media Design - All rights reserved.